We offer wide range of Pharmacy Equipment. Being a client-oriented organization, we are engaged in offering a distinct collection of Fortin S Barometer. 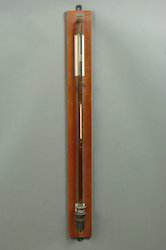 The offered barometer is a scientific instrument used in meteorology to measure atmospheric pressure. Under the guidance of talented professionals, the offered barometer is precisely manufactured making use of high quality components as well as advanced technology in adherence to set industry standards. We offer this barometer at a reasonable price within scheduled time frame. With an objective to fulfill the demands of our clients, we are engaged in offering a wide range of Mixing Stirrer. The stirrer is widely used in pharmacy labs. This stirrer is highly demanded in the market for its easy functioning and high performance. Keeping in mind the latest market development, the provided stirrer is manufactured by our deft engineers employing premium class components with the assistance of modern technology in adherence to defined industry standards. Riding on unfathomable volumes of industrial expertise, we are involved in offering an excellent range of Pharmacy Equipment. 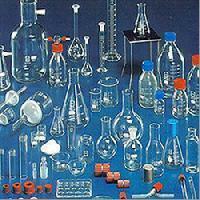 The offered equipment is widely used in R&D and analytical labs for testing purpose. The offered equipment is manufactured under the guidance of our diligent professionals using optimum grade material with the help of progressive technology. Our offered equipment is highly acclaimed among our patrons owing to its smooth finish. Looking for Pharmacy Equipment ?